This 25x27mm. JUVENIA solid 18k. 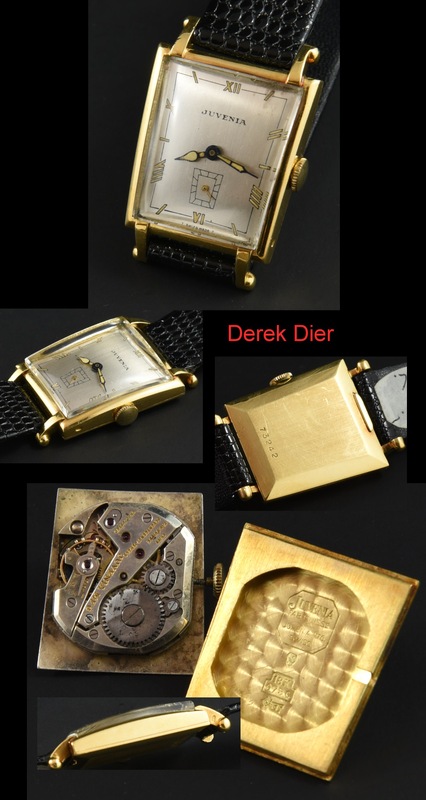 gold watch has an interesting grasshopper style case in great overall condition! I love the “ball tipped” lugs. The dial was expertly restored and maintains the original hands. 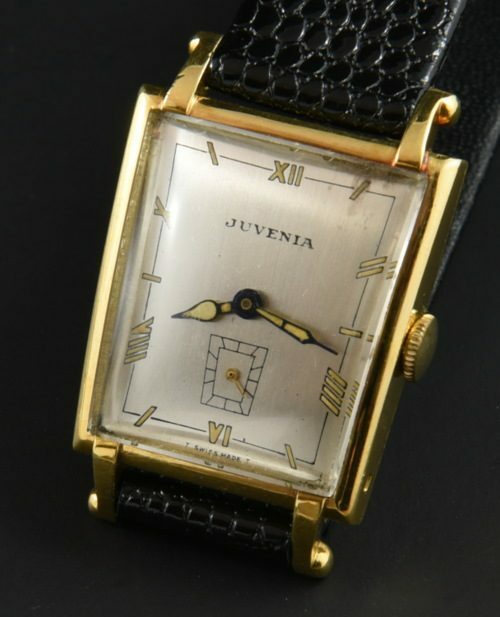 The manual winding movement by JUVENIA was cleaned and accurate. You will receive many comments while wearing this cool 1950’s watch. $1295.